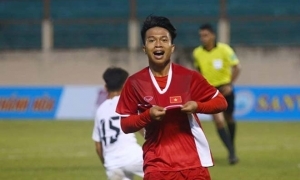 Thể Thao 247 - U17 Hanoi player Nguyen Duc Anh had unsporting behavior in the match against U17 Hebei in international friendly tournament in Guangzhou. Hebei captain Zheng Haokun played dirty with goalkeeper Nguyen Duy Dung. Nguyen Duc Anh, U17 Hanoi’s captain, immediately rushed to the Chinese to pay back. The two players from 2 teams then fought, and the referee had to intervene before it got worse. 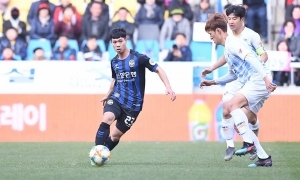 Initially, Nguyen Duc Anh was supposed to receive a yellow card. However, with Zheng Haokun's bloody face, the referee changed his mind and gave Duc Anh a red card. Nguyen Duc Anh received many criticisms from head coach Nguyen Van Bieu. Because of his action, U17 Hanoi lost fair play title and at the same time, the organsizer also sent report to the Vietnam Football Federation (VFF). Who will be summoned by coach Park Hang-seo for World Cup 2020 Qualifiers? international friendly tournament in Guangzhou. Thể Thao 247 - After winning over Guangzhou Evergrande, U17 Hanoi continues to surprise fans when beating a representative from Argentina. Thể Thao 247 - Coach Park Hang-seo, in a recent interview, shared this plan to choose new player for Vietnam NT joining World Cup 2020 Qualifiers. 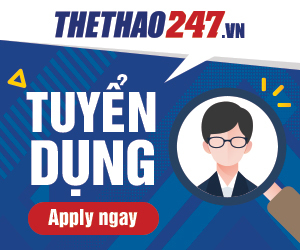 Thể Thao 247 - Answering on VFF website, coach Park Hang-seo affirmed that Vietnam is one of the strongest football system in ASEAN.